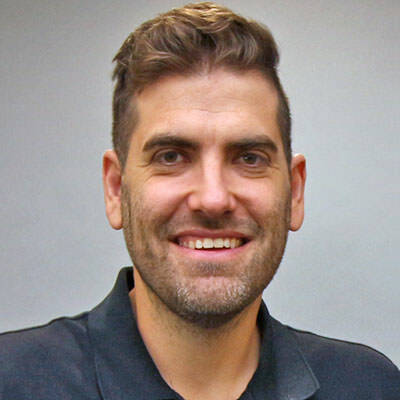 All lessons found on BibleTalk.tv are open source. Here is how you can utilize the BibleTalk.tv Open API to build something cool. Hi, my name is Hal Gatewood and I am the web developer at BibleTalk.tv. If you need help with this API or want to let me know what you've built so I can feature it, please email me at hal@bibletalk.tv. On this page you'll find all the information needed to interact with the content found on BibleTalk.tv. BibleTalk.tv materials and API access are licensed under a Creative Commons Attribution-NonCommercial-ShareAlike 3.0 Unported License. 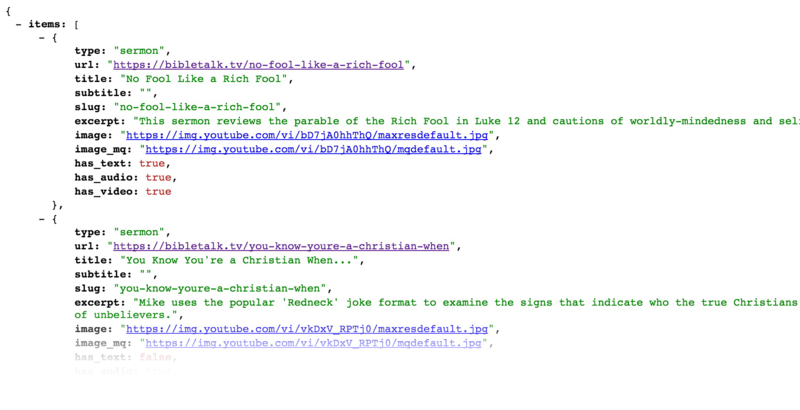 Nearly every page on BibleTalk.tv has a .json file associated with it. The main sections like Sermons, Bible Classes and Devos are what I consider list pages. The objects have an array of objects under the variable items. These pages are accessed the same way as other pages with .json on the end of the URL. Here is the data we use to build our official Alexa skill. You can use these to create other apps for different devices or to incorporate into your own skill. There are two main formats used with the object that gets returned: full and simple. For most list pages the simple format is returned and for main lesson pages the full format is returned. The difference is how much data is returned about the object. For most applications there is no need to return all the data about the items on a list page.